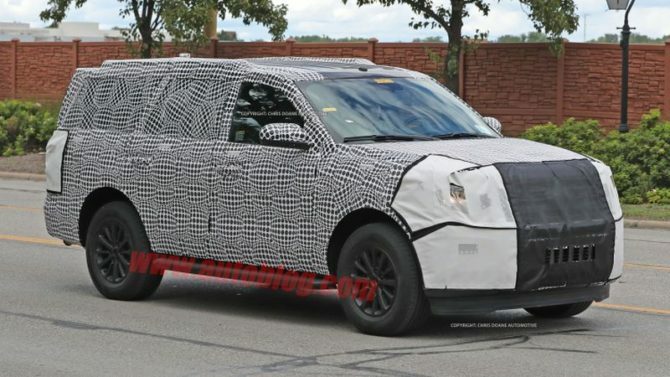 05/25/2017 UPDATE: 2018 Ford Expedition was revealed a few months ago. It now boasts an all-new aluminum body, it is bigger, but at the same time lighter. 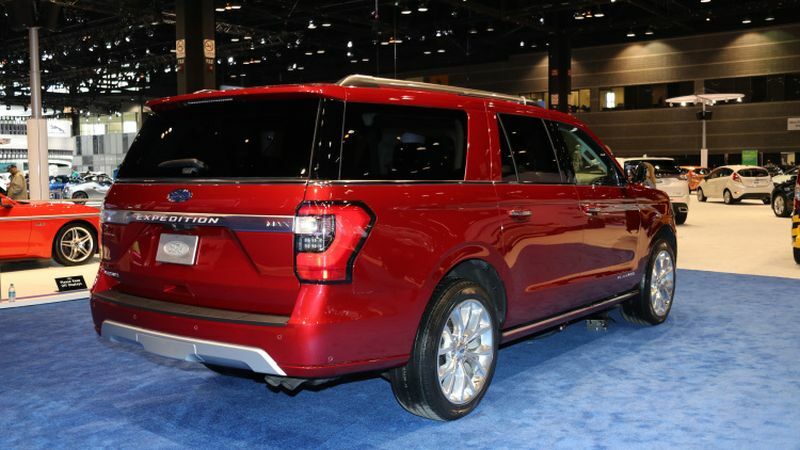 New Expedition has better fuel economy, and it comes with an entirely new set of features. 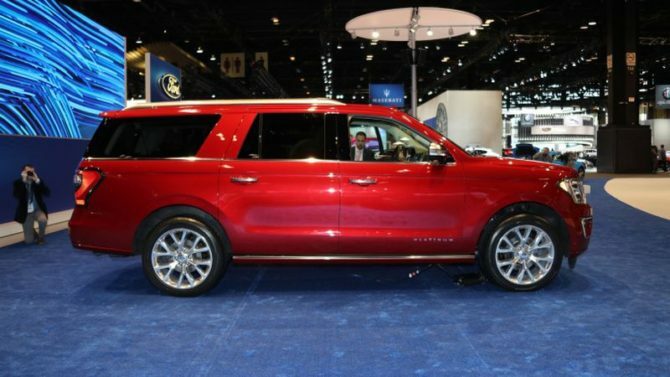 If you are wondering when this all-new Expedition is going to be available for purchase, let us tell you. 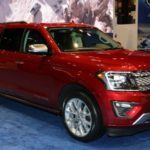 The sales of 2018 Expedition are going to start in fall of this year. 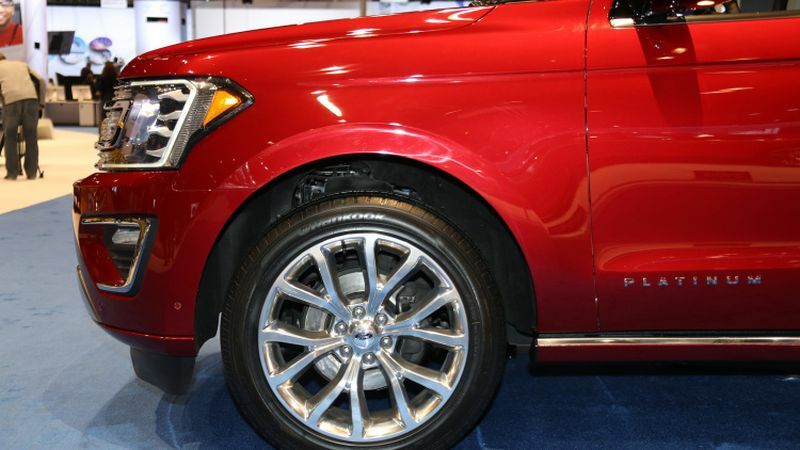 In general size, it’s 4 inches longer while the wheelbase is prolonged by 3 inches. The larger of two Expeditions, the Max version, previously known as EL has grown by 1 inch while its wheelbase stays unchanged. 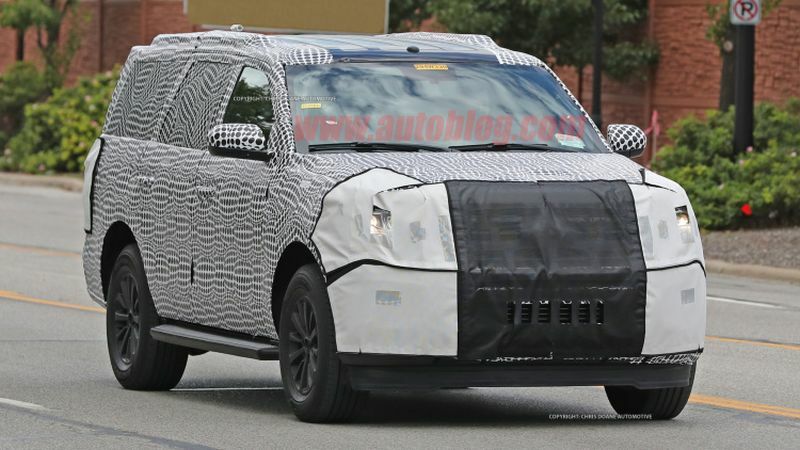 Both editions of this SUV are going to be powered by a 3.5-liter twin-turbo V-6. The transmission that comes with this powertrain is ten-speed automatic. The new transmission in combination with V-6 units is expected to improved fuel efficiency and towing capacity of this vehicle. 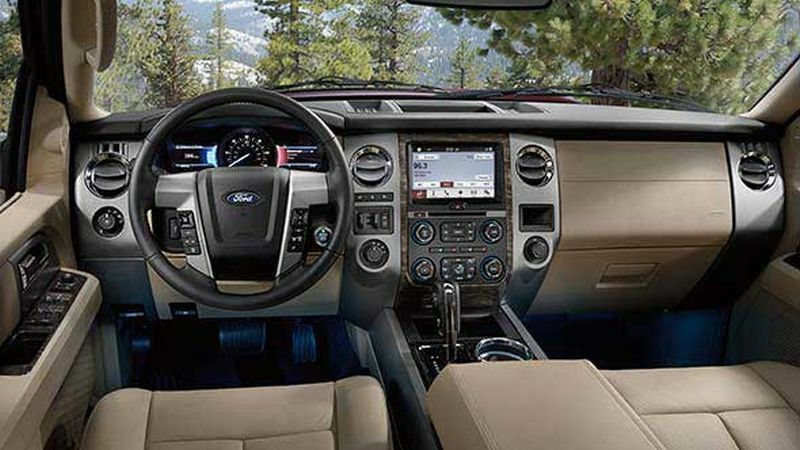 The new Expedition comes in just a right time when the sales of the over-sized vehicle are peaking. 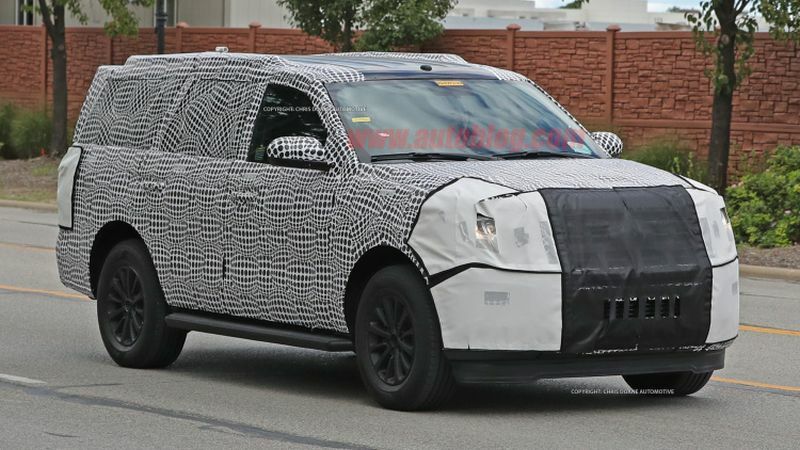 The rivals against which Ford’s flagship SUV is going to have a battle against are Chevrolet Tahoe, GMC Yukon, Nissan Armada and Toyota Sequoia. 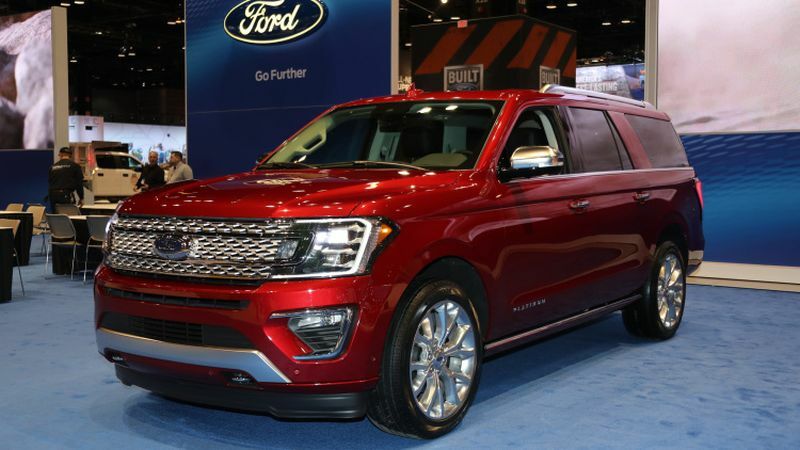 The Max version of Expedition is going to go against Chevrolet Suburban and GMC Yukon XL. 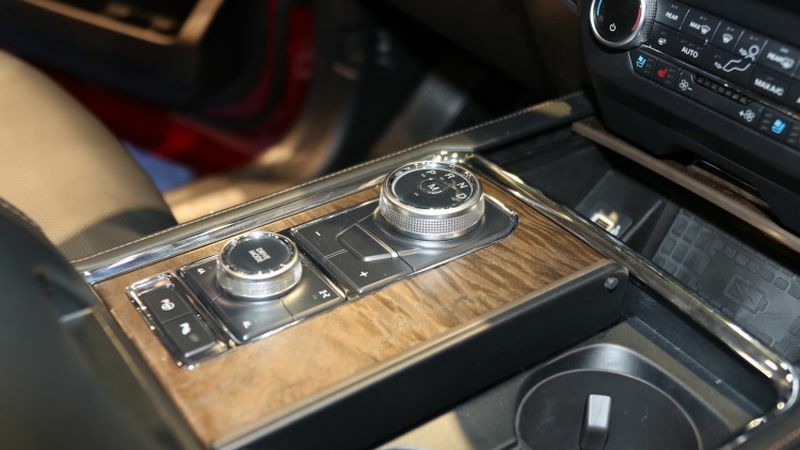 On the inside, you will find new rotary shifter positioned on the central console. The seats in the second row can be slid to the front in order to adjust room for legs and to make an entrance in the third row. 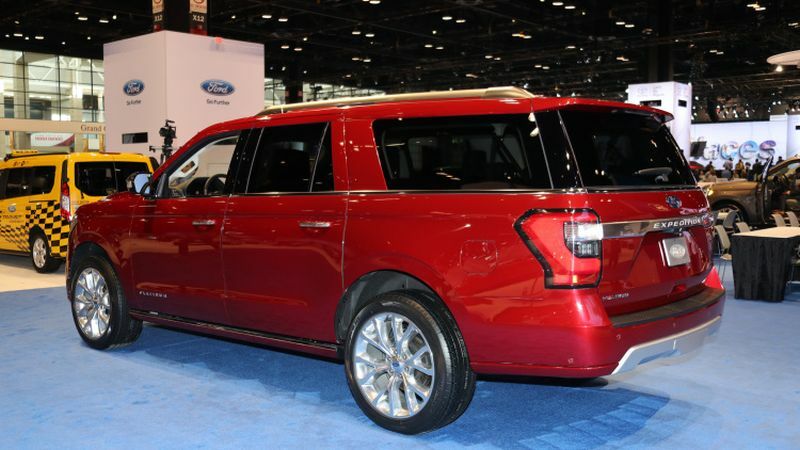 The number of passengers that can fit into this vehicle varies from seven to eight. It depends whether you want to have two captain chairs or bench in the second row. 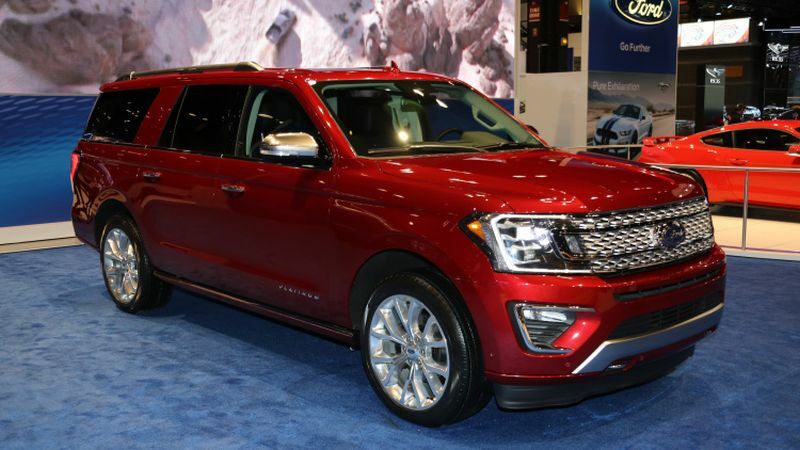 2018 Ford Expedition is the first large SUV from this company that has been completely overhauled in last fifteen years. 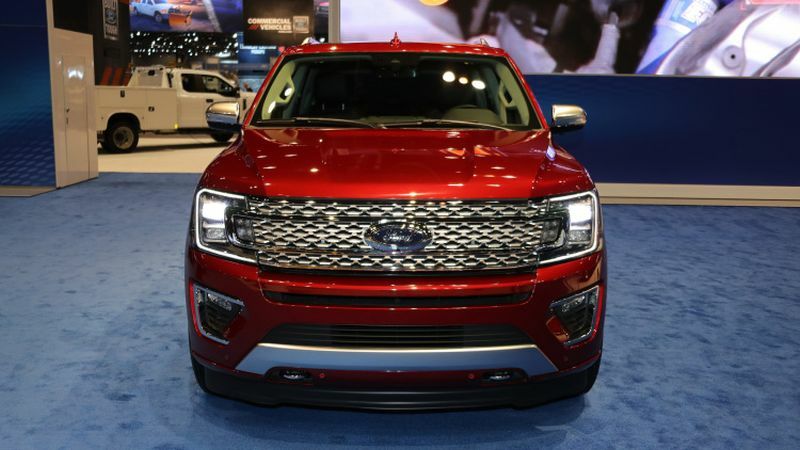 Similar to the trucks from Ford’s F-Series it now features aluminum body panels on an all-new frame. You have probably noticed that the front end of the chassis from bumper to the windscreen is shared with Ford F-150. The rest of the structure is created from zero in order to accommodate independent rear suspension and the third row. 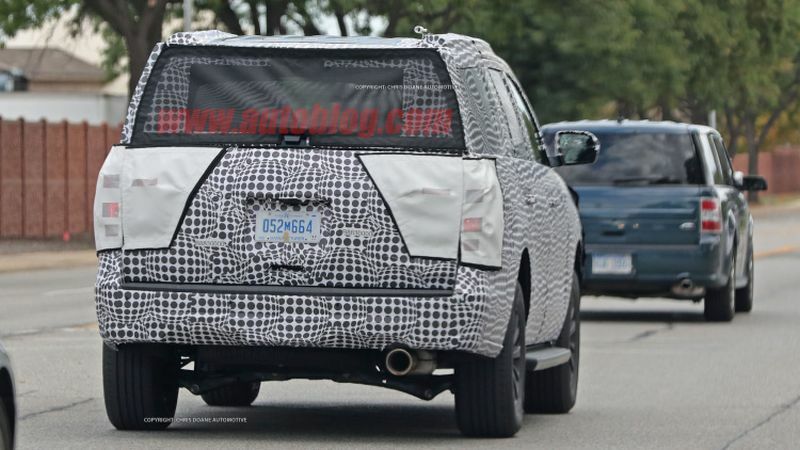 This part of Expedition SUV was always the bragging right of Ford Motor Company. It allowed their SUV smooth ride and lots of room space. 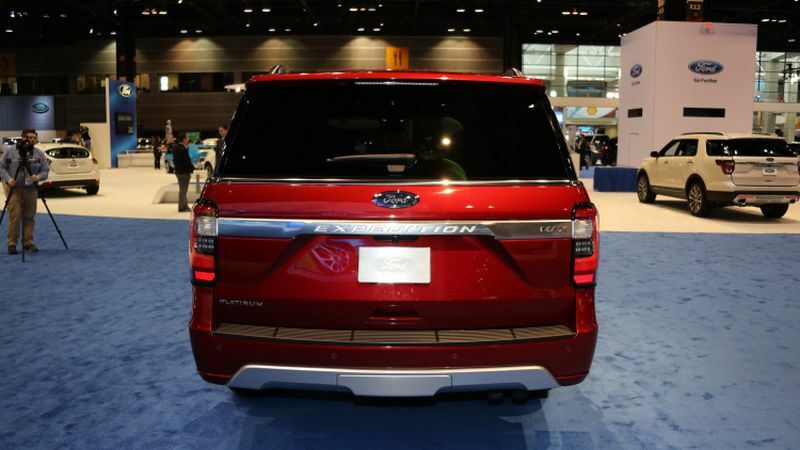 Like we mentioned earlier 2018 Expedition would have a lot of new features. 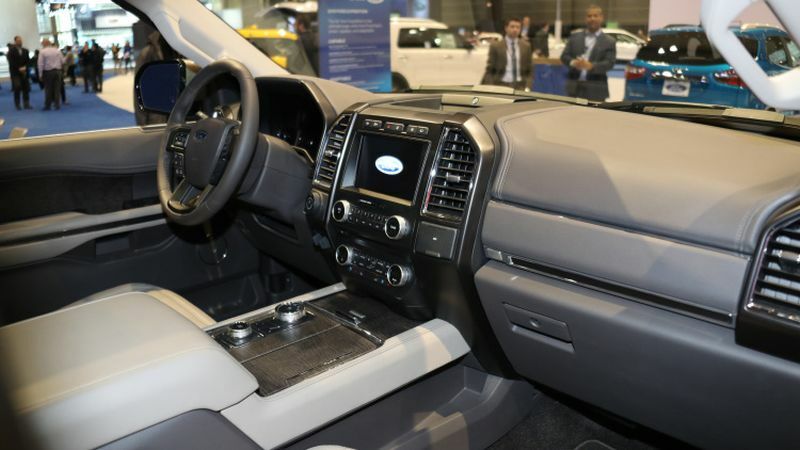 Some of them include adaptive damping that adjusts the ride to suit conditions, lane-keeping assist, adaptive cruise control, parking assist, trailer-connect assist, wireless phone charging, Apple CarPlay, Android Auto, Wi-Fi, up to seven USB ports, four 12v outlets and one 110v. And, if you are interested in the future of Blue Oval company you will be glad to hear that they are planning five new SUV’s. 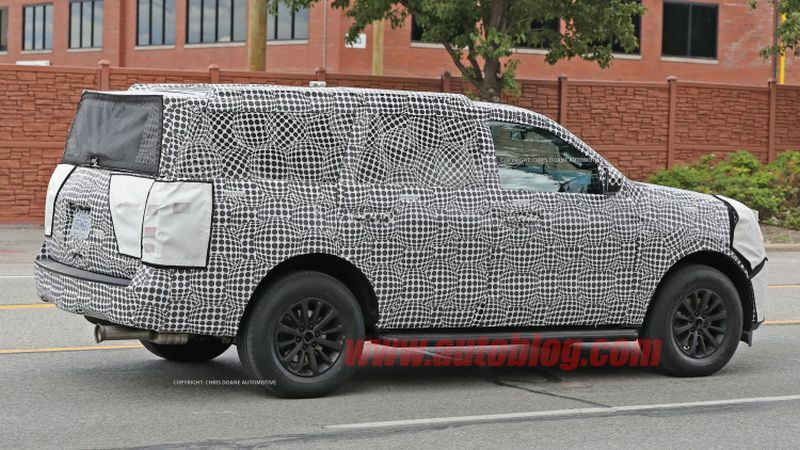 They are, (finally) new Bronco, subcompact EcoSport, one electric crossover and two which are not yet announced. 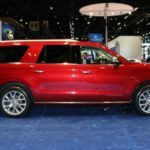 01/17/2017 Review: After being around for a decade, the discontinuation of the current Expedition has been finally announced by Ford. 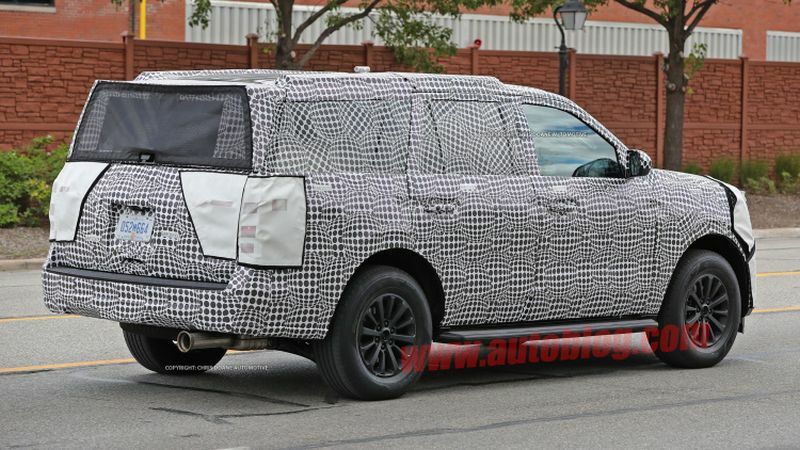 The upcoming 2018 Ford Expedition is going to take its place and its release has been planned for the first half of 2017. 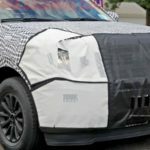 There have been plenty of rumors about the car so far and it seems that some of them may not be true. 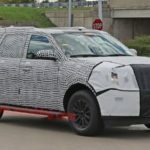 The Expedition will remain based on the chassis of the F-150 which also means it will use the all aluminum body that made the truck so successful. There will be differences though which we are going to talk about next. 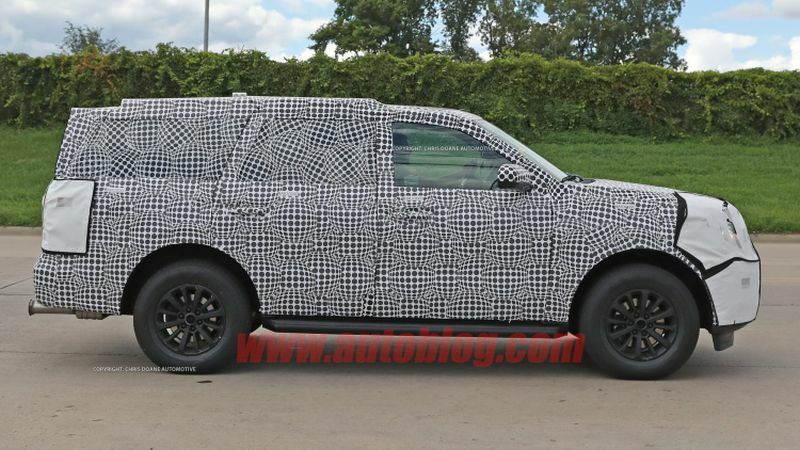 The first actual prototypes of the new Ford Expedition 2018 have been spied a few weeks back and things are a lot more interesting than first reported. The design seems new, the engines might surprise us and the technology involved will definitely give it an edge. The price is still unknown but the car will more than likely retain the pricing scheme of its predecessor. Expect the base model to start around $47,000 which is right where the competition is. The same as the F-150? 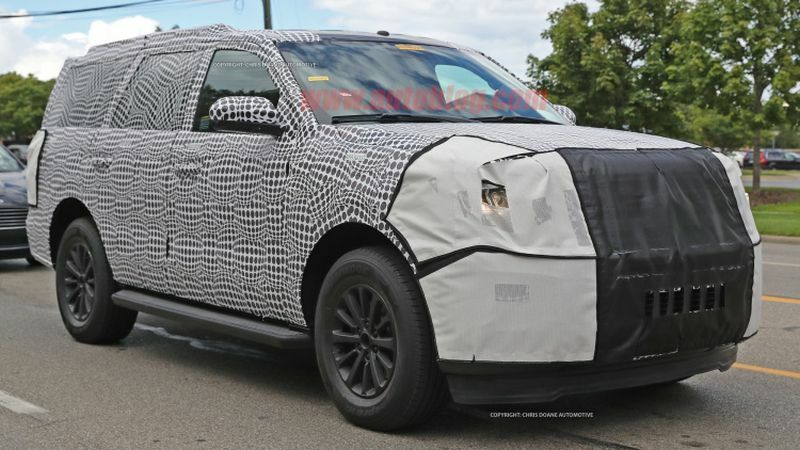 Even though the 2018 Ford Expedition is going to share most of its underpinnings with the truck, it seems that the running gear will be new. 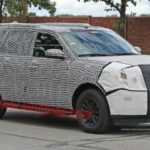 The SUV will feature a new suspension system which is aimed at making it a much more comfortable, and better to drive, car than before. The tow ratings will change because of that. It should still be capable of towing as much as 8,000 pounds but this is still more than 4,000 less than the equivalent F-150. 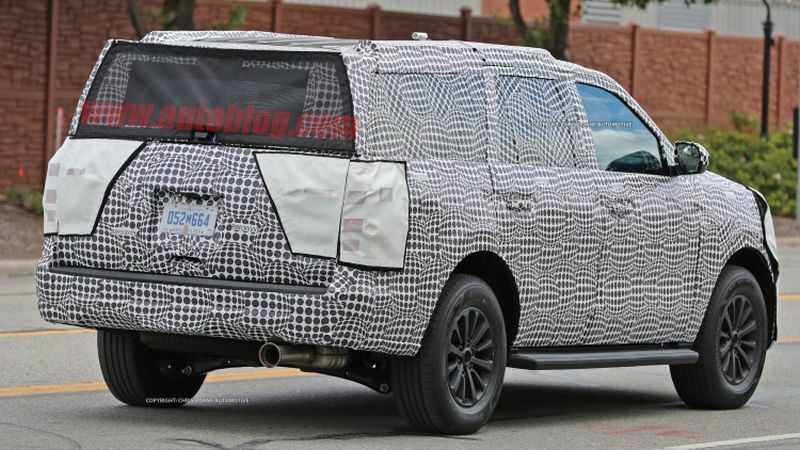 On top of that, the Expedition will more than likely receive an active suspension system, at least as an option. This is the largest surprise for most of us. 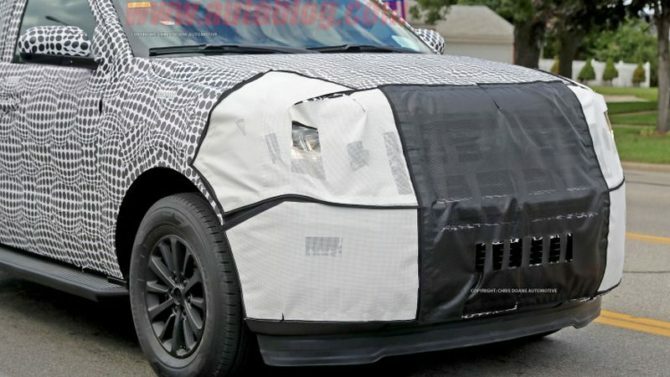 The early rumors and renders all suggested at a front end identical to the F-150. This has been the case in the past as well so it made sense. However, Ford is not going to follow the same recipe. 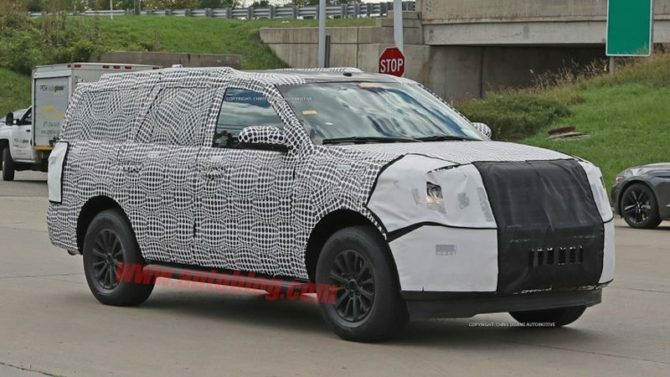 The prototype seen a while ago is definitely having an entirely new front end, something a lot more similar to the Explorer. The headlights, and grille for that matter, are swept back. The bumper seems more aerodynamic and the fenders and hood give it a really muscular look. 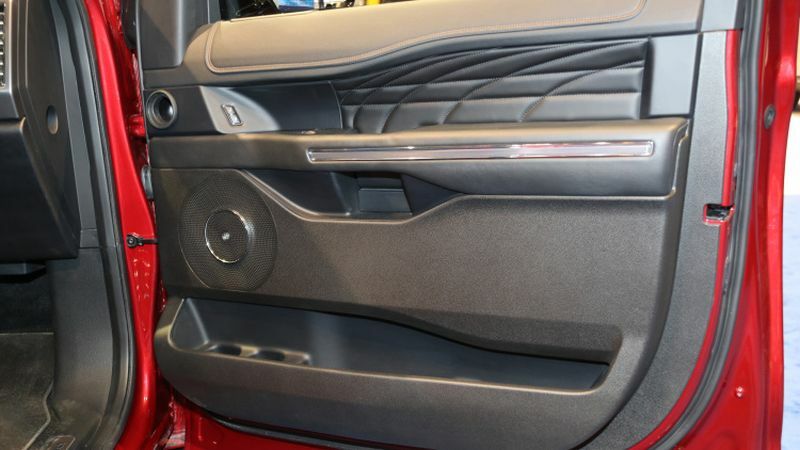 The belt line is also lower than on the truck and the rear end is a lot less bulky. The D and C pillars seem to be blacked out for a really upmarket look. 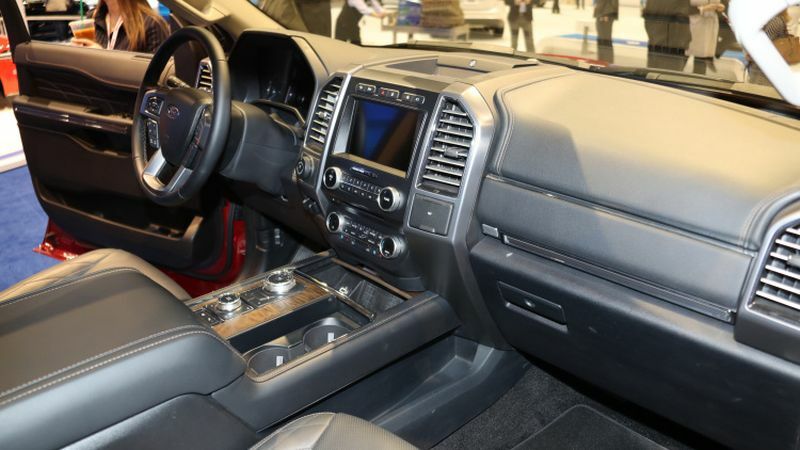 The cabin will more than likely follow a completely different trend than the truck. 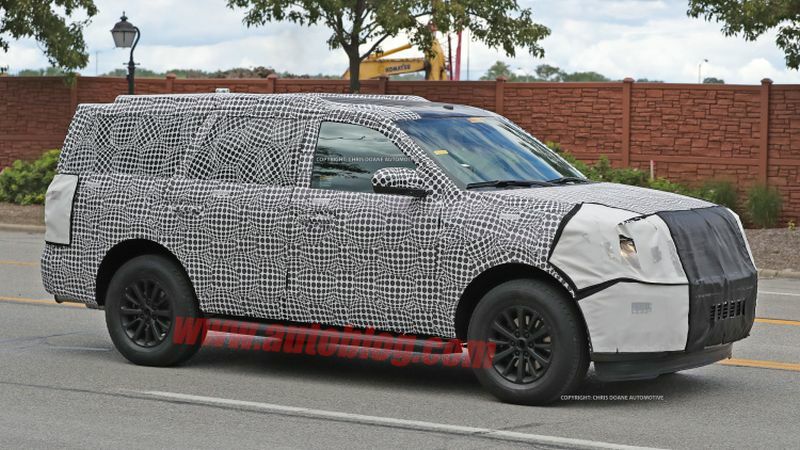 We expect here a lot of influences from Ford’s crossovers. The current model is available with a single 3.5 liter V6 engine. 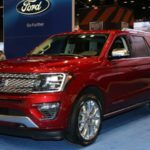 The new 2018 Ford Expedition on the other hand might get two or even three choices. The base one is expected with a 2.7 liter twin-turbo V6 that could offer around 320 horsepower and 350 lb-ft of torque. The 3.5 liter V6 will return. 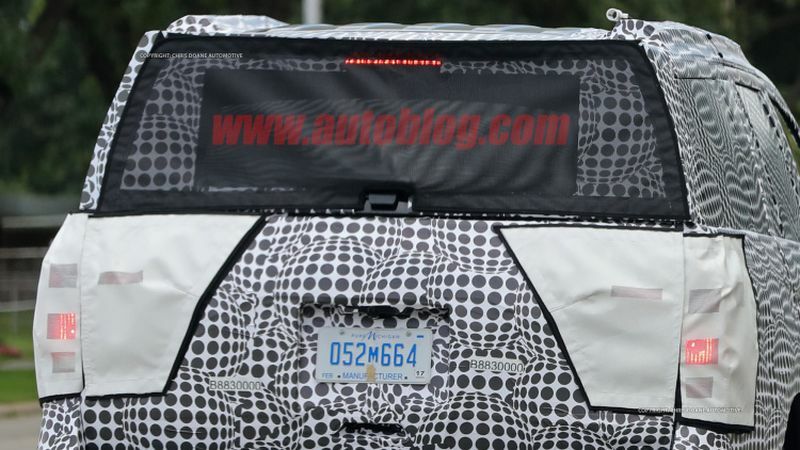 However, this will be an all new unit which could make 370 horsepower and 475 lb-ft of torque. Thanks to it, the car should be capable of delivering around 19 to 20 MPG on average. The performance will also improve significantly thanks to the massive weight loss. The only transmission that will be offered is more than likely going to be Ford’s new 10 speed automatic. 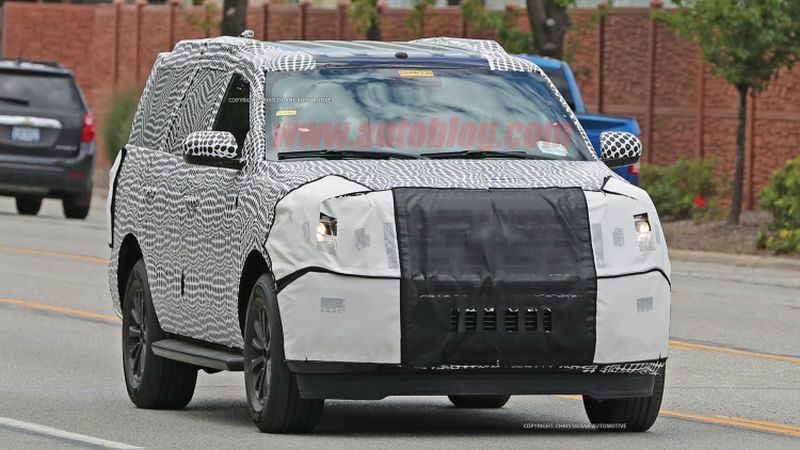 There are also some rumors suggesting at a third powertrain. This would be a 3 liter turbocharged diesel from Jaguar. However, we are not so sure about it. While on the truck it would make a lot of sense, the Expedition is not really suitable for such an engine.